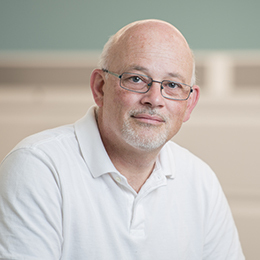 Francis Burrows, Ph.D., is a drug discovery and development scientist with over twenty years’ experience in small and large biotech companies. He serves as our Vice President of Translational Research at Kura Oncology. Throughout his career, he has focused on the biology of disease, primarily cancer, and the discovery, characterization and development of small molecule drugs. Dr. Burrows has founded two biotech startups, one of which, Conforma Therapeutics, was acquired by Biogen in 2006. As Senior Director of Oncology Discovery at Biogen, he was responsible for one clinical, two preclinical and four discovery programs and also initiated efforts to use Hsp90 inhibitors in neurodegenerative and autoimmune conditions. In 2008, he founded Aarden Pharmaceutical, and in 2009 he also took on the role of Head of Oncology Biology at Tragara Pharmaceuticals. He earned his Ph.D. in immunology and completed his training in London and Dallas working on antibody-based therapeutics for cancer.